In the days before round-the-clock radio if you tuned in before the start of the day's broadcasting you'd have heard lots of beeps and whistles. 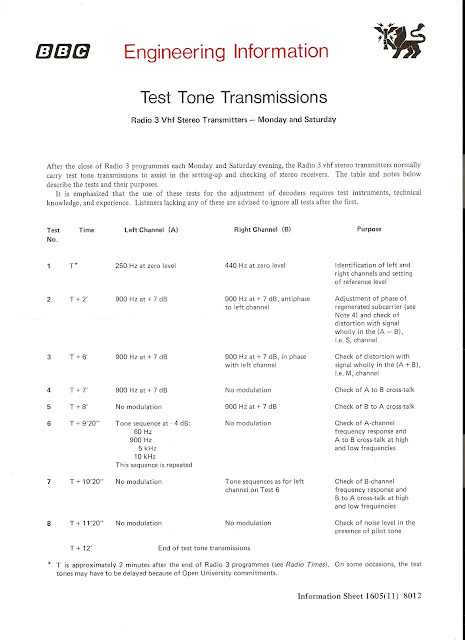 Not some alien communication from outer space but test tone transmissions. These were designed to "assist in the setting-up and checking of stereo receivers." More BBC Engineering information sheets can be found here. 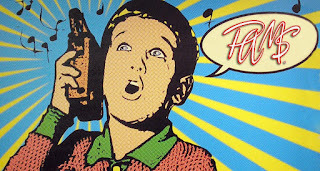 Chances are that if you’re reading this blog you like the odd wallow in a bath of nostalgia. If the music, films, tv, radio and advertising of yesteryear are your thing then head over to Retrospace an excellent site written by fellow blogger Andy Howells. Today on Retrospace you can read my guest post about 'Gentlemen Broadcasters' inspired by a comment that Steve Wright made during his recent interview with David Jacobs. 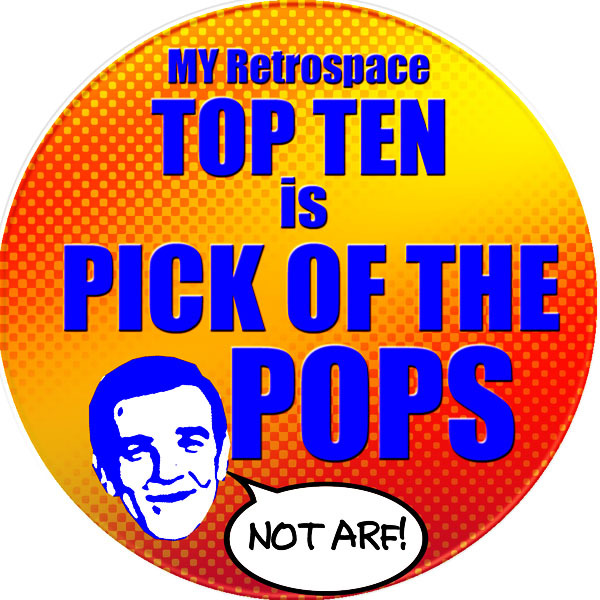 If you want to submit your Retrospace Top Ten Sunday list Andy would welcome any contributions. 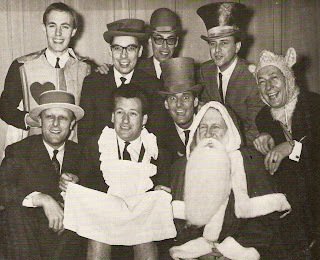 After leaving the RAF Keith worked for BFBS in Hamburg before joining Radio Luxembourg in 1955, working alongside Barry Alldis, David Gell and Don Moss. He soon became Chief Announcer but returned back to the UK in 1958, though he continued to provide taped shows for the station. From 1963 to 1965 he co-presented, with Cathy McGowan, ITV’s Friday night live music show Ready, Steady, Go! On the BBC Light Programme Keith was one of the hosts of Easy Beat and Pop Inn, later also presenting it on Radio 1. In the late 60s and early 70s he presented Late Night Extra and was quizmaster on Radio 2’s Town and Country Quiz and Support Your Local. This clip of Town and Country Quiz dates from 21 December 1982. In 1983 Keith briefly returned to Radio Luxembourg and here he is co-presenting the General Election coverage with Rodney Collins. This recording demonstrates the famous ‘208 fade’. for the 1965 pantomime. Back row: Simon Dee, David Gell, Alan Dell, David Jacobs. In the lead up to the wavelength changes (or frequency changes, take your pick) in November 1978 the BBC publicity machine went into overdrive. In this post you can hear a selection of the musical, comedy and celebrity based promotions. Changing metres not meters - can anyone identify the voices? 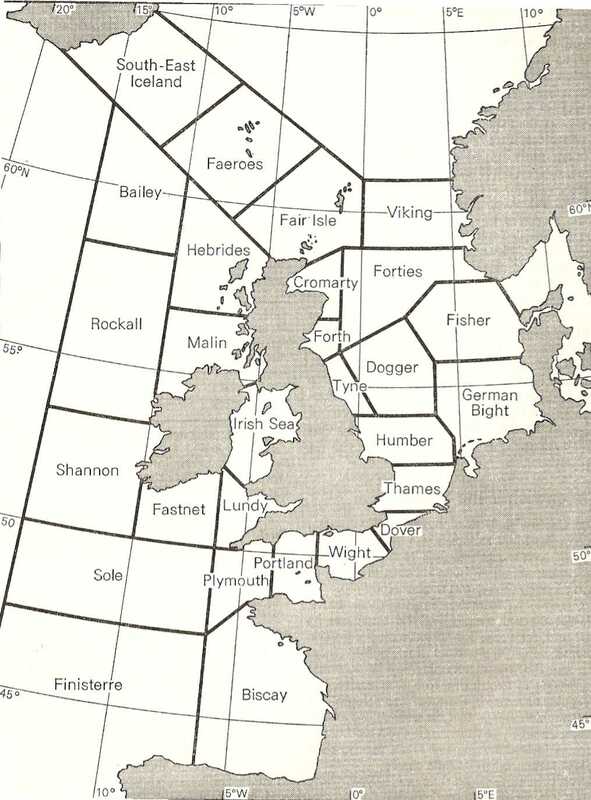 It is often said that the reading of the Shipping Forecast is akin to the recital of a poem. There is both something in the pared down coded language “unfolding as it does in a mesmerizing incantation” and the image of “all those vulnerable little boats bobbing about at sea, reinforcing the romantic sense of being as island nation” that invokes this reverie. The BBC has been providing a shipping forecast since 1925. For years it has been a fixture on the long wave in the Light Programme, Radio 2 and Radio 4. It is, perhaps, only since coming to moor in the Radio 4 berth that the forecast has taken on this wider significance. Closely associated with the Shipping Forecast is the orchestral piece Sailing By. This has been used by Radio 4 since it started transmitting the forecast in 1978 to help fill the gap between the end of the news and the start of the forecast. Throughout the 60s and 70s the final forecast of the day followed the last news bulletin and 12:02 a.m. or 02:02 a.m. when broadcast hours were extended; in the mid-70s this changed to 12:33 a.m. when the hours were reduced again. 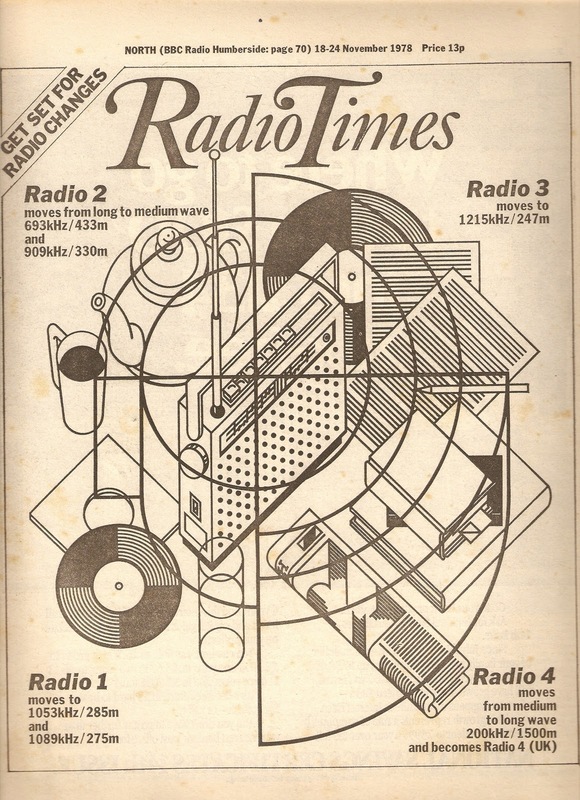 When Radio 4 took over 1500m long wave the midnight news was followed by “an interlude” and then the shipping and inshore forecast at 12:15 a.m. It was Sailing By that filled that interlude. The tune had been used on the radio before in Tony Brandon's midday show on Radio 2 as background music to his daily gardening spot with a character called Ebeneezer Growmore. The Shipping Forecast doesn’t have quite the same poetry when read by John Prescott as part of this year’s Comic Relief fundraising. This is how John read the 12:48 a.m. forecast earlier today on Radio 4. 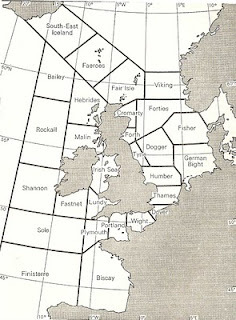 Here from 1982 is a shipping forecast, inshore forecast and closedown read by Eugene Fraser. Back then sea area Viking had not been split up to include North and South Utsire and area Fitzroy was still called Finisterre. 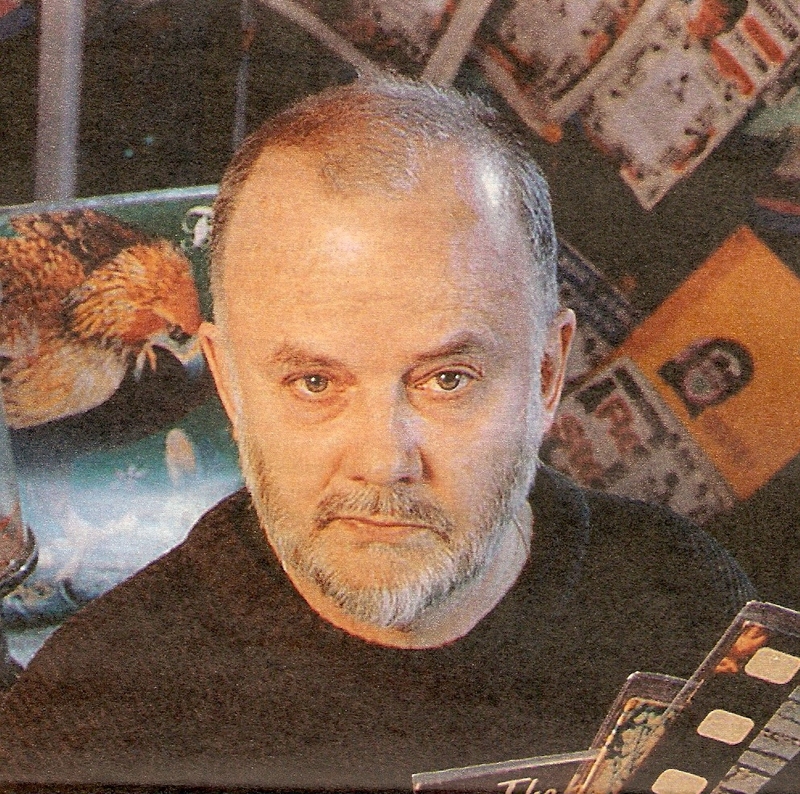 Eugene Fraser was born in Fiji and educated in New Zealand where he worked on radio and television. He came to Britain in 1967 and joined the BBC as announcer and newsreader. Initially on Radios 1 and 2 he presented such shows as Night Ride, Friday Night is Music Night and Brass and Strings. In 1975 he moved to Radio Victory in Portsmouth. By 1978 he was back at the BBC, this time as announcer/newsreader on Radio 4. He left the station in the 1990s. For the "rules" of the Shipping Forecast visit the Met Office website. Congratulations to Chris Moyles and Dave Vitty for their record breaking 52-hour show on BBC Radio 1. The show was hugely entertaining and compulsive listening (and viewing on the Red Button). 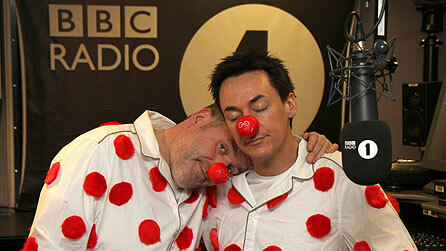 Don't forget you can donate to Comic Relief online click here. Margaret Howard is most closely associated with two long-running series: Letterbox and Pick of the Week and I’m posting examples from both series here. Between 1971 and 1974 she worked as a reporter on The World at One. 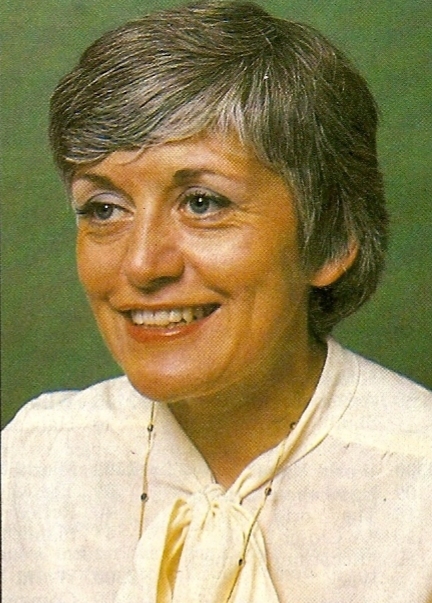 Margaret presented the weekly Letterbox on the World Service from 1974 until its demise in 1986. Her 17-year stint on Pick the Week commenced in 1974 when she took over from John Ellison (John had also been one of the quizmasters on Top of the Form and a presenter of Children’s Favourites). The programme had begun in 1959 when Gale Pedrick selected the items. After Pedrick it was Nancy Wise that made the selections, although John Ellison remained the presenter. In 1984 Margaret won a Sony Award as female personality of the year. Margaret Howard’s contract was not renewed by the in 1991, no explanation was given. She joined Classic FM at its launch in 1992 and was with the station for seven years. This edition of Letterbox was first broadcast on the BBC World Service on Friday 20 February 1981. My recording is of the Sunday 22 February repeat at 20.15 GMT. This is the last edition of Pick of the Week presented by Margaret Howard on 10 May 1991. This recording is of the Sunday repeat. Back in 1992 the BBC Radio 4 show 'The Radio Programme' featured this report on the use of radio jingles in Britain. It includes Steve England working with the Controller of Radio Wave in Blackpool. Steve was, and is, the UK representative for JAM Creative Productions in Dallas. The 'Radio Programme' is presented by Laurie Taylor and the report is by Mairead Devlin. 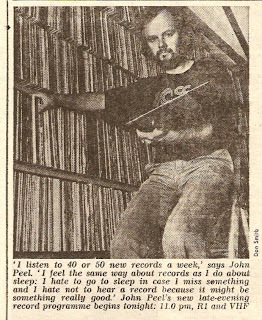 I must confess that I was not an avid John Peel listener. When his show was on between 11 p.m. and midnight I’d probably be listening to The Late Show or Round Midnight. But as I flicked around the dial I did hear the show and although the music may not always have been to my taste I recognised and appreciated John’s absolute passion for music, his humour, his warmth, his broadcasting style described by a journalist after his death as a “self deprecating mumble” and, of course, his love of Liverpool FC. 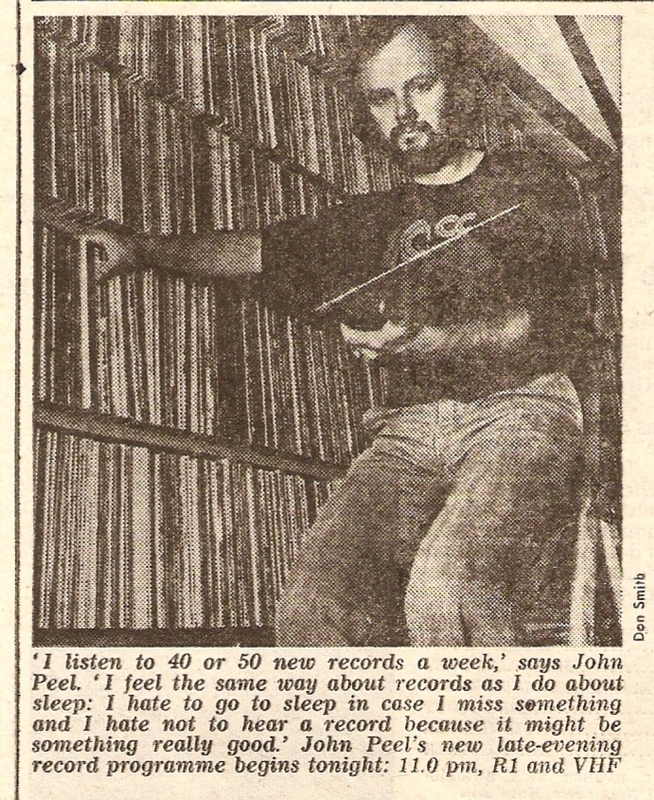 The details of John’s career are a well-worn path so I won’t revisit them here. Consume all you want on the John Peel Wiki site and this excellent blog. John was more concerned with the music of here and now but as part of Radio 1’s 21st birthday celebrations he looked back at the music scene of 1967. This short programme was broadcast at 6.45 p.m. on Friday 30 September 1988 and was produced by John Walters. The announcer is that of long-time Radio 1 producer Stuart Grundy. Radio 1’s birthday song was specially produced by JAM Creative Productions. By 1993 John was on Radio 1 twice a week – Friday and Saturday nights between 11 p.m. and 2 a.m. In that autumn’s schedule changes the Friday night show moved to a 10 p.m. to 1 a.m. slot whilst the Saturday show moved to what the Radio Times called a “new user friendly slot” of 4.30 to 7 p.m. Here’s part of that first Saturday afternoon show complete with a very amusing false start. So here from 1982 is an edition of the Radio 2 panel game The Law Game presented by Shaw “Keep ‘Em Peeled” Taylor. On the panel with John are Rob Buckman (doctor turned comedian) and Paddy O’Byrne (Radio 2 announcer/newsreader). Hello there! It was listening to the David Jacobs Saturday morning show, initially called Star Sounds, that introduced me to some of the musical legends such as Frank Sinatra, Ella Fitzgerald, Tony Bennett, Bobby Darin, Sarah Vaughan and the like. In the mid-80s he brought what he called “the music of our lifetime” to weekday Radio 2 for a long-running lunchtime show. 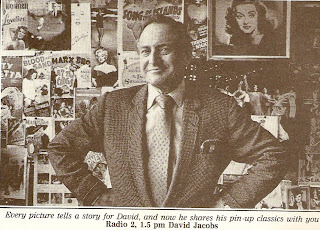 For the record David’s Saturday show started on 11 December 1978. Initially running between 8 and 10 a.m. It was later reduced to an hour when Sounds of the 60s started. It ended on 24 March 1990 when Sounds of the 50s came along. 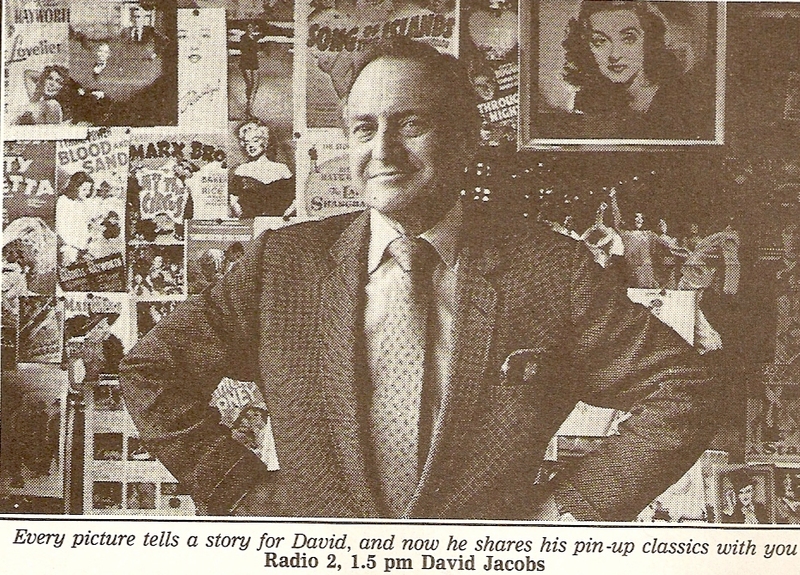 During part of this period David was also presenting Melodies for You on Sunday mornings until December 1984 when Robin Boyle took over. The weekday show started on 7 January 1985 and ended its run on Friday 20 December 1991. Jingle Collecting - Jingle Mad? I guess I started taping pop music off-air when I was about 13 or 14 years of age. I still have some of those early tapes. About a year later I became fascinated by the bits in between the records – the jingles. I started recording Radio 1 and Radio 2 jingles in 1976 – in the dying days of their use of PAMS jingles - as well as some off Radio Humberside and Radio Tees. Those early recordings were of variable quality, literally a mic stuck in front of a radio. But once I got my radio with built-in cassette I was away. Some of those jingles have appeared on this blog and my small Radio Humberside collection made it on-air last month as part of their 40th birthday celebrations. Why am I telling you this? Well David Hemsley at The Jingle Network has just published this audio documentary, Jingles: A Collectors Tale, on jingle collecting. In the programme you can hear what inspired some British collectors to start their jingle collecting. It all sounds unerringly familiar to me though I was never as serious about it as these guys are.